Everyone has one. That article of clothing that you just love beyond all reason. Even after it gets torn and stained, and faded with bleach. After the fraying and holes and rips, it is still the first thing in the laundry and first thing you put on while it is still warm from the laundry. 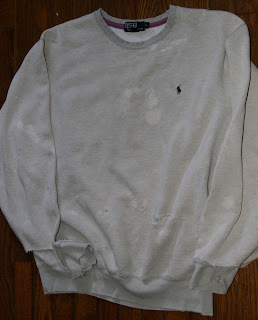 It became clear, however, after that last December washing, that the Polo sweatshirt would not survive. While my little blue pony was still galloping along, the fabric around him was disintegrating into oblivion. I folded up my favorite sweatshirt and longingly watched it as it lay on the table, lifeless. Ann called and abruptly asked it I had thrown it away. No! Then, this week, I received a large box with a Happy New Year note. 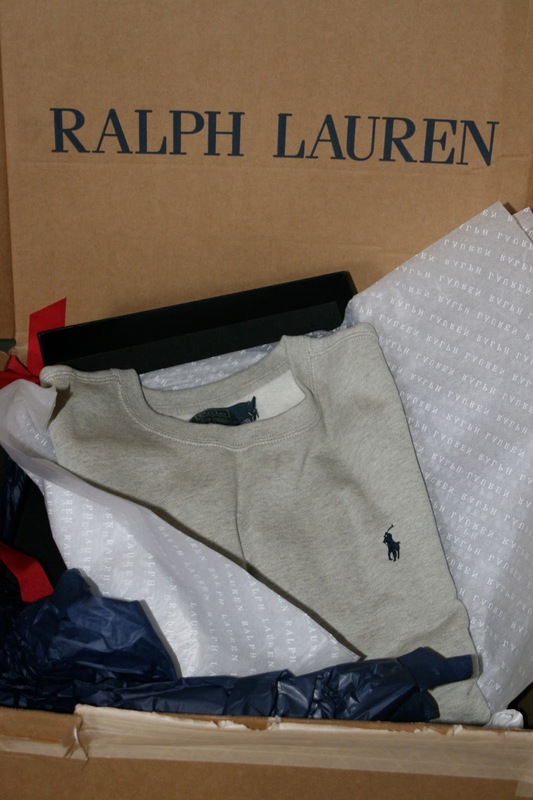 Inside were two, yes two, brand new grey Polo sweatshirts. I am wearing one now. It is soft, but not that soft. The cuffs are intact and gripping my wrists. The tag is scratching my neck. I am sure that after a few hundred washings, it will shape up. Until then, goodbye old friend. Very nice looking Polo Sweatshirt. I also have white sweat shirt with a bunny printed on it. Looks awesome for casual looks! I am a work out freak as well and like to invest in the top notch fabric as well as trendy designs. The Carbon 38 workout clothes are my all time favorite.